THIS IS A PROMOTIONAL CONTEST. NO PURCHASE IS NECESSARY TO ENTER OR WIN. A PURCHASE WILL NOT INCREASE YOUR CHANCE OF WINNING. THE PROMOTION IS VOID WHERE PROHIBITED OR RESTRICTED BY APPLICABLE LAW, AND ALL APPLICABLE FEDERAL, STATE AND LOCAL LAWS AND REGULATIONS APPLY. Winners are responsible for any taxes, customs, duties, costs, expenses and similar amounts connected with entering the Contest and accepting any Prizes. The Creators Awards (“Contest”) is sponsored and presented by Samsung Electronics America, Inc. (“Sponsor”). Thirty (30) entrants, three (3) from ten (10) individual genres (each, a “Shortlisted Entrant”), will be selected for a shortlist ( “Shortlist”) and will receive a Shortlist Prize (as defined below), which includes an invitation to attend the Contest awards ceremony in New York, NY as well as the opportunity to take part in a 1 day educational masterclass on the techniques and concepts within the VR medium, hosted by a leading authority within VR. From the Shortlist, ten (10) grand prize winners (each, a “Grand Prize Winner”) will be selected, one from each of the competition genres. The Grand Prize Winner in each genre will receive a grand prize of Ten Thousand United States Dollars ($10,000) (each a “Grand Prize” and together with the Shortlist Prizes, the “Prizes”). The competition genres (each, a “Genre”) are: Sport, Travel, Gaming, Music, Culinary, Fashion, Auto, Science & Tech, 4D Experience and Causes. The submission period for the Contest for the following genres begins on June 22, 2016, at 9:00 AM ET and ends on September 30, 2016, at 11:59 PM ET (“Contest Period 1”): Sport, Travel, Gaming, Music, Culinary, Fashion, Auto, Science & Tech, and 4D Experience. The submission period for the Contest for the following genre begins on June 22, 2016, at 9:00 AM ET and ends on August 31, 2016, at 11:59 PM ET (“ Contest Period 2”): Causes. All times stated by Sponsor are in Eastern Time (local to New York, NY). Entries received before or after Contest Period 1 or Contest Period 2, as applicable, will not be accepted or be eligible to win a Prize. Sponsor’s clock is the official clock of the Contest. Eligibility to participate in the Contest or to win Prizes is limited to individual persons who are (i) eighteen (18) years of age or the age of majority or older in the jurisdiction in which they reside, whichever is greater, at the beginning of Contest Period 1 or Contest Period 2, as applicable, and (ii) who are legal residents of the 50 United States and D.C. Participants who violate these Official Rules or disregard the decisions of Sponsor are not eligible to participate or win. Directors, officers, employees, contractors and agents (and their immediate families and household members) of the Sponsor, its parents, affiliates, subsidiaries, advertising and promotion agencies, or any other company involved with the design, production, execution or distribution of the Contest are not eligible to enter or win a Prize. The Sponsor's determination of eligibility, in its sole discretion, shall be final. (a) Fill out the form on www.samsung.com/us/explore/samsung-creators to express your interest in participating in the Creators Awards, or alternatively send an email to creators@samsung.com to receive information on how to enter. (b) Capture and create a wholly original 360 degree video in one of the following ten (10) genres (the “Video”): Sport, Travel, Gaming, Music, Culinary, Fashion, Auto, Science & Tech, 4D Experience and Causes. Create your Video using a Samsung Gear 360 Camera or another device capable of capturing and creating 360 degree video, with video capture set to high-quality. (c) Transfer and convert the Video to your smartphone or computer using the Samsung Gear 360 Manager smartphone app or the Samsung Gear 360 Action Director desktop app if you created the Video using Samsung’s Gear 360. If you create the Video using another device, follow the instructions accompany that device regarding transfer and conversion. (d) Upload the video to Samsung VR by creating an account and agreeing to all accompanying terms and conditions and privacy policies or logging in to your account at https://samsungvr.com/portal or through the Samsung Gear VR App. 5. Set Video to public. Complying with Sponsor’s instructions and these Official Rules will generate one (1) entry into the Contest (an “Entry”). Any participant who submits after the close of Contest Period1 or Contest Period2, depending on the applicable genre, or who submits content that is not in compliance with these Official Rules, will not be given an Entry into the Contest. In the event of a dispute as to any registration, the authorized account holder of the email address used to register will be deemed to be the participant. The “authorized account holder” is the natural person assigned an email address or other account by an Internet access provider, online service provider or other organization responsible for assigning email addresses or the account for the domain associated with the submitted address. The potential winner may be required to show proof of being the authorized account holder of the email address associated with the winning Entry. Any effort by a participant to misrepresent himself or herself through the use of aliases or multiple email addresses will disqualify that participant. Entries generated by a script, macro or other automated means are void. A participant may submit any number of Entries in one or more Genres, but may only be selected for the Shortlist in one Genre, and may only win one (1) Shortlist Prize and/or Grand Prize for the entire Contest, if any. Only Videos that meet the requirements and restrictions set forth below will be considered valid. ● Be intended for advertising, marketing, or any commercial use. In the event of a tie, the Entrants who have the highest scores in category (1) will be selected. The panel of judges has been selected to offer expert opinion within the judging criteria and will score all valid entries within the contest. Shortlist Prizes: Each of the thirty (30) entrants selected for the Shortlist will be invited to attend an awards event in New York, NY, on or around October 27th and 28 th, 2016 (“Event”). Samsung will pay for (i) coach class airfare for each Shortlisted Entrant to the event from within the United States (unless the Shortlisted Entrant lives within one hundred (100) miles of New York, NY, in which case, Samsung will pay for ground transportation from the Shortlisted Entrant’s residence to New York, NY), (ii) ground transportation to/from destination airport and hotel, and (iii) accommodations for two (2) nights at a hotel of Sponsor’s selection. The Shortlisted Entrants will also be invited to take part in a 1 day educational masterclass on the techniques and concepts within the VR medium, hosted by a leading authority within VR (“Masterclass”) as part of the Event. The foregoing prizes shall be collectively referred to as the “Shortlist Prize.” Total maximum Estimated Retail Value of Shortlist Prize is $3,050.00. Actual value may vary based upon location of departure city and no compensation or substitution will be provided for any difference in prize value. Shortlisted Entrant is responsible for all costs and expenses associated with the acceptance and use of the prize not specified herein as being awarded, including, but not limited to, all federal, state and local taxes, luggage fees, additional ground transportation, meals, gratuities and souvenirs. All prize details are at the sole discretion of the Sponsor. If, for whatever reason, the Event or Masterclass is cancelled or postponed, no compensation or substitution will be provided, however remainder of prize package will be awarded and Sponsor shall have no further obligation to such Shortlisted Entrant. Travel must be made through Sponsor’s agent, on a carrier of Sponsor’s choice. Travel is subject to capacity controls, availability, and certain other restrictions, all of which are subject to change. No stopovers are permitted on tickets issued as a prize; if a stopover occurs, the prize will terminate at the stopover point and full fare will be charged for the remaining segments, including the return, of the trip. The Sponsor is not liable for any expenses incurred as a consequence of a flight cancellation or flight delay. Shortlisted Entrant must execute and return a travel liability/publicity release prior to travel. Shortlisted Entrant is responsible for obtaining all travel documents required by airline and comply with all applicable hotel check-in requirements, such as presentation of a major credit card. Shortlisted Entrant must comply with all applicable Event and Masterclass rules and regulations. Sponsor reserves the right to deny participation or remove Shortlisted Entrant from Event or Masterclass if he/she engages in a disruptive manner, or with intent to annoy, abuse, threaten or harass any other person at the Event or Masterclass, or appears to be under the influence of drugs or alcohol. Grand Prizes : Of the thirty Shortlisted Entrants, ten (10) Grand Prize Winners, one from each Genre, will receive Ten Thousand United States Dollars ($10,000), or a substitute grand prize of comparable value, in Sponsor’s sole discretion (each, a “Grand Prize” and together with the Shortlist Prizes, the “ Prizes”). The Grand Prize shall be in addition to the Shortlist Prize that the Grand Prize Winners received for being included on the Shortlist. In order to accept any Prize, entrants must be available for travel between October 26 and 29, 2016 and must attend the Event and the Masterclass. If you cannot travel on such dates and/or you do not attend the Event or the Masterclass, your entry will not be included on the Shortlist, and you will forfeit your right to the Shortlist Prize, the Grand Prize or any value in lieu thereof and you will be ineligible to be declared a Winner. Grand Prizes will be only be awarded if the potential Grand Prize Winner attends the entire Event, including the Masterclass. Any Shortlisted Entrant who partially accepts the Shortlist Prize but refuses to or is unable to attend the Event and/or the Masterclass will be disqualified and ineligible for the Grand Prize. The Sponsor's selection of the Shortlisted Entrants and the Grand Prize Winners (collectively, the “Winners”), in its sole discretion in accordance with these Official Rules, shall be final. The Prizes are nontransferable and must be accepted as awarded. No substitution may be made, except by Sponsor. Sponsor reserves the right to substitute a Prize of equal or greater value. All federal, state and local taxes are the sole responsibility of the Winner. Prize consists of only those items specifically stated as part of the Prize. All expenses and costs associated with the acceptance or use of the Prize that are not expressly specified in these Official Rules as being part of the Prize are the sole responsibility of the Winner. If required by law, the Winner will be issued a 1099 tax form for the Prize value. Sponsor makes no warranties with regard to the Prizes. Notification of Shortlist : Each Entrant potentially placed on the Shortlist will be contacted by email at the email account associated with the upload of the Video after the end of Contest Period 1 and Contest Period 2, as applicable. TIME IS OF THE ESSENCE IN RESPONDING TO THIS NOTIFICATION AND SELECTING THE SHORTLISTED ENTRANTS. If a potential Shortlisted Entrant does not respond to the email regarding potential qualification for the Shortlist and/or provide all documentation that is requested and required by Sponsor within seven (7) days of the email being sent, or if he or she has not complied with these Official Rules or declines the “Shortlist Prize”, as defined in Section 8, for any reason, such potential shortlisted Entrant will be disqualified and, in Sponsor’s sole discretion, an alternate Shortlisted Entrant may be selected based on the Judging Criteria set forth above. Notification of Grand Prize Winners : The ten (10) potential Grand Prize Winners will be announced at the Event in accordance with the information supplied at the time of the Entry. If a potential Grand Prize Winner is not in attendance at the Event for such announcement and/or does not provide all documentation that is requested and required by Sponsor within 24 hours of the announcement , or if he or she has not complied with these Official Rules or declines the “Grand Prize”, as defined in Section 8, for any reason, such potential Grand Prize Winner will be disqualified and, in Sponsor’s sole discretion, an alternate Grand Prize Winner may be selected based on the Judging Criteria set forth above. Required Documentation : Sponsor may require potential Winners (including potential Shortlisted Entrants and potential Grand Prize Winners) to execute an affidavit of eligibility, publicity release (except where prohibited), liability waiver and/or IRS Form W-9 (if required by IRS regulations) prior to the delivery or acceptance of any prize (collectively, "Affidavit") and other documentation as Sponsor may require. If a potential Winner (i) does not respond to the notification from Sponsor (detailed above) that he or she is a potential Shortlisted Entrant or potential Grand Prize Winner within the time frame required by Sponsor, (ii) is unavailable or unwilling to travel between October 26 and 29, 2016, (iii) is unavailable or unwilling to attend the Event and/or Masterclass, (iv) fails to execute the Affidavit or other documentation required by Sponsor within the time frame required by Sponsor and/or (v) the Prize is returned as undeliverable, the Sponsor may consider such Entrant or potential Winner to have forfeited the Prize, and Sponsor shall have the right, but not the obligation, to select a replacement Shortlisted Entrant or potential Grand Prize Winner in Sponsor’s sole discretion. By participating in the Contest, submitting a Video and attending the Event and Masterclass, each participant hereby grants Sponsor and its parents, affiliates, subsidiaries, agencies, service providers, designees, successors, assigns and licensees the right and license to photograph, film, record, edit, publish, publicly display and otherwise use his or her name, likeness, actions, performance, and voice (“Name and Likeness”), unless prohibited by law, and to edit, publish, publicly display and otherwise use his or her submitted Video, for any purpose whatsoever, including without limitation advertising and marketing, without further notice, permission, or compensation. For the avoidance of doubt, all Videos submitted for the Contest may be used by Sponsor and its agencies and service providers in the manner described in this Section, regardless of whether such video complies with the stipulations present in Sections 4 and 5. Sponsor shall have no obligation (express or implied) to use entrant’s Name and Likeness or Video, but may do so and may edit such information or materials, at Sponsor’s sole discretion, without further obligation of compensation. Each participant agrees to be bound by these Official Rules and the decisions of the Sponsor, and to accept delivery of any Prize won based upon availability. In addition, each participant represents and warrants that all information contained in his/her Entry is true and accurate. The Sponsor is not responsible for any printing errors in these Official Rules, in the Entry or otherwise in any materials available at the Site. Unless a participant otherwise opts out, Sponsor and its designees may use the participant's physical and/or e-mail address to contact the participant regarding Sponsor's services and other offers and/or promotions. Sponsor and Administrator shall not be responsible for lost, late, misidentified or misdirected Entry or telecommunication or computer hardware or software performance, errors, delays or failures. Sponsor is not responsible for any human or other error that may occur in the processing of the Entries, nor are they responsible for any error, omission, interruption, deletion, defect, or delay in operation or transmission, theft or destruction or unauthorized access to or alteration of Entries, or for technical, network, telephone, computer hardware or software malfunctions of any kind, or inaccurate transmission of, or failure to receive any entry information on account of technical problems or failures of any wireless or internet service providers, traffic congestion on the Internet or at any web site or any combination thereof, which may limit a person’s ability to participate in the Contest or receive communication from Sponsor. Sponsor assumes no responsibility for undeliverable messages resulting from filtration of a participant’s wireless or Internet service provider or for insufficient space to receive messages. Sponsor reserves the right to cancel, terminate, suspend, or modify the Contest if fraud or technical failures destroy the integrity of a Contest; or if a technical problem corrupts the administration as determined by Sponsor, in their sole discretion. If the Contest is canceled, Sponsor may award the applicable Prize(s) from among all eligible Entries received as of the time of cancellation in a random drawing, and Sponsor shall have no further obligation to any participant in connection with the Contest. Any use of robotic, automatic, programmed, or the like methods of participation will void all such entries by such methods. Incomplete Entries are void. Each Entrant (and his or her travel companions, if applicable) shall conduct themselves with due regard to the public conventions and morals. The Entrant and his or her travel companions, if any, shall not commit an offense involving moral turpitude under local laws or ordinances. The Entrant and his or her travel companions, if any, shall not commit any act that will tend to degrade the Sponsor in society or bring Sponsor into public hatred, public disrepute, contempt, scorn, or ridicule, or that will tend to shock, insult or offend the community or public morals or decency or prejudice the Promotion Entities. In the event any Entrant or his or her travel companions, if any, engages in behavior that (as determined by Sponsor in its sole discretion) is obnoxious or threatening, illegal or that is intended to annoy, abuse, threaten or harass any other person, the Sponsor reserve the right to terminate the Event experience of Entrant and his or her travel companions, if any, early and to expel the Entrant and his or her travel companions, if any, from the Event with no further obligation related to the Contest. CAUTION: ANY ATTEMPT BY ANY INDIVIDUAL TO DELIBERATELY DAMAGE ANY WEB SITE OR UNDERMINE THE LEGITIMATE OPERATION OF A CONTEST IS A VIOLATION OF CRIMINAL AND CIVIL LAWS AND SHOULD SUCH AN ATTEMPT BE MADE, THE SAMSUNG ENTITIES (AS DEFINED BELOW) RESERVE THE RIGHT TO SEEK DAMAGES FROM ANY SUCH INDIVIDUAL TO THE FULLEST EXTENT PERMITTED BY LAW. THIS CONTEST IS INTENDED FOR PARTICIPATION IN THE UNITED STATES ONLY AND SHALL BE CONSTRUED ONLY ACCORDING TO UNITED STATES LAW. Each participant hereby releases, and agrees to defend, indemnify and hold harmless the Sponsor, its parents, subsidiaries and affiliates, agencies, service providers, those working on its behalf, and each of their respective officers, directors, representatives, employees, agents, designees, licensees, successors and assigns (the “Samsung Entities”), from any damage, injury, death, loss or other liability, either at law or equity, whether known or unknown, asserted or non-asserted, that may arise from or in any way relate to participation in this Contest, the use of the Video by Sponsor, or the awarding, acceptance, use or misuse of any Prize or any other substitute prizes. Entrants acknowledge that each Prize is provided by Sponsor on an “as is” basis with no warranty of any kind. SPONSOR DISCLAIMS ALL GUARANTEES AND WARRANTIES, WHETHER EXPRESS, IMPLIED OR STATUTORY, INCLUDING ANY WARRANTY OF MERCHANTABILITY, FITNESS FOR A PARTICULAR PURPOSE WITH RESPECT TO ALL PRIZES AND THIS CONTEST. BY PARTICIPATING IN THIS CONTEST, PARTICIPANT HEREBY WAIVES ANY RIGHTS OR CLAIMS TO ATTORNEY'S FEES, INDIRECT, SPECIAL, PUNITIVE, INCIDENTAL OR CONSEQUENTIAL DAMAGES OF PARTICIPANT, WHETHER FORESEEABLE OR NOT AND WHETHER BASED ON NEGLIGENCE OR OTHERWISE. SOME JURISDICTIONS DO NOT ALLOW THE LIMITATION OR EXCLUSION OF LIABILITY FOR INCIDENTAL OR CONSEQUENTIAL DAMAGES, SO THE ABOVE MAY NOT APPLY TO PARTICIPANT. PARTICIPANT FURTHER UNDERSTAND AND AGREE THAT IF PARTICIPANT IS A RESIDENT OF CALIFORNIA, ALL RIGHTS UNDER SECTION 1542 OF THE CIVIL CODE OF CALIFORNIA ARE HEREBY EXPRESSLY WAIVED. SECTION 1542 READS AS FOLLOWS: “ CERTAIN CLAIMS NOT AFFECTED BY A GENERAL RELEASE. A GENERAL RELEASE DOES NOT EXTEND TO CLAIMS WHICH THE CREDITOR DOES NOT KNOW OR SUSPECT TO EXIST IN HIS FAVOR AT THE TIME OF EXECUTING THE RELEASE, WHICH IF KNOWN BY HIM MUST HAVE MATERIALLY AFFECTED HIS SETTLEMENT WITH THE DEBTOR .” IF YOU ARE NOT A RESIDENT OF CALIFORNIA, YOU WAIVE ALL RIGHTS UNDER ANY LAW SIMILAR TO SECTION 1542 THAT MAY EXIST IN YOUR STATE OF RESIDENCE. Any and all disputes, claims, and causes of action arising out of or in connection with this Contest shall be resolved individually, without resort to any form of class action. This Contest shall be governed by, and construed in accordance with, the laws of the State of New York, regardless of conflicts of laws principles. Any action or litigation concerning this Contest shall take place exclusively in the federal or state courts sitting in New York County, New York, and EACH PARTICIPANT EXPRESSLY CONSENTS TO THE JURISDICTION OF AND VENUE IN SUCH COURTS AND WAIVES ALL DEFENSES OF LACK OF JURISDICTION AND INCONVENIENT FORUM WITH RESPECT TO SUCH COURTS. Each participant agrees to service of process by mail or other method acceptable under the laws of the State of New York. ANY CLAIMS, JUDGMENTS AND/OR AWARDS SHALL BE LIMITED TO ACTUAL OUT-OF-POCKET COSTS ASSOCIATED WITH ENTERING THIS CONTEST AND MUST NEVER INCLUDE CONSEQUENTIAL, INCIDENTAL OR PUNITIVE DAMAGES, AND IN NO EVENT ATTORNEYS’ FEES. SOME JURISDICTIONS DO NOT ALLOW THE LIMITATION OR EXCLUSION OF LIABILITY FOR INCIDENTAL OR CONSEQUENTIAL DAMAGES, SO THE ABOVE MAY NOT APPLY TO PARTICIPANT. 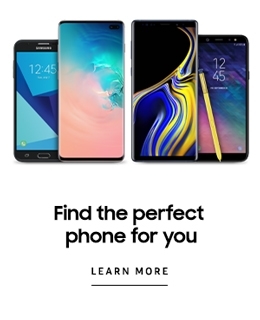 The Sponsor of this Contest is Samsung Electronics America, Inc. with a principal place of business at 85 Challenger Road, Ridgefield Park, NJ 07660.